Need to access all the data on your website’s traffic and performance? By logging into your Google Analytics account, you can see your analytics data and make changes to your tracking settings. 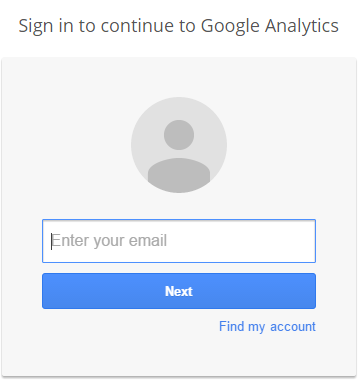 In this article, we’ll walk you through how to login to Google Analytics. 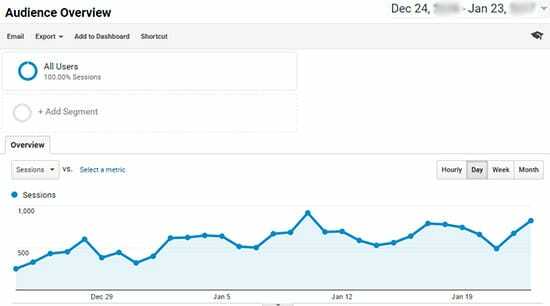 First, you’ll need to navigate to the Google Analytics website. 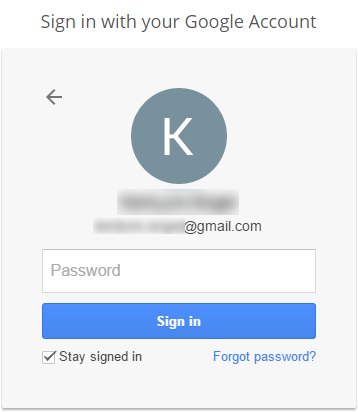 On the next screen, enter the email address associated with your Google account and click the Next button to continue. Then, you can enter your password and click the Sign In button. That’s it! You’re now logged in and should see your dashboard. Now you can find almost any type of analytics data you needs in your Google Analytics dashboard; however, it isn’t very comprehensive for beginners. There’s a good chance you’ll get lost at some point and fail to see the important stats most useful for your business growth. But this isn’t an issue anymore for WordPress users because there’s a really simple solution available. Continue reading to learn about it. Want an easier way to get the data you need directly on your WordPress dashboard, without having to navigate the Google Analytics’ confusing dashboard? Then MonsterInsights is the plugin you need! MonsterInsights is the most user-friendly, most popular Google Analytics plugin for WordPress. Using this plugin, you can easily connect your WordPress site with your Google Analytics account and view your important Analytics data right in your WordPress dashboard. So, you won’t need to login to Google Analytics to view your website’s data. MonsterInsights has a new Google Analytics dashboard widget feature that lets you view your important website stats right in your WordPress admin page (www.yoursite.com/wp-admin). That’s not all! You can view a lot more on the MonsterInsights reports page by visiting Insights » Reports from your WordPress dashboard. For more details, view our complete guide on MonsterInsights dashboard reports. 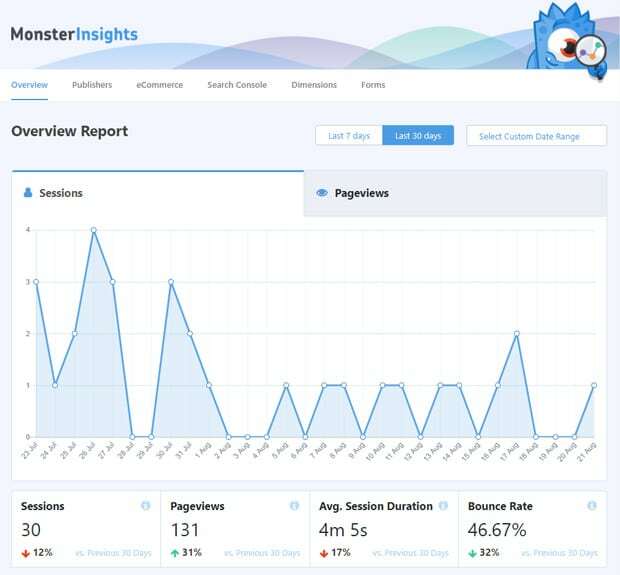 If you’re looking for a simple-yet-powerful solution to use Google Analytics in WordPress, MonsterInsights is the best option. Give MonsterInsights a try today. Like this article? Please follow us on Twitter and Facebook for more free tutorials.